Silver hoop earrings embellished with netting using seed and dagger beads. 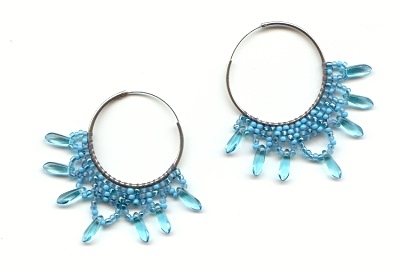 I love wearing hoop earrings and really enjoy adding extra embellishment and colour to them. Simple netting or brick stitch are great ways to quickly add colour and interest.